Again, I saw a very similar card on Pinterest. Don't you just LOVE Pinterest!! It was done a little different. Different saying, colors, but basically the same card. 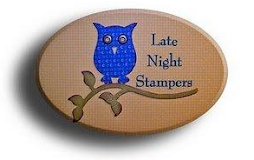 I wish I would have pinned it, but I saw it and thought, I can make that using Stampin' Up! Products....so I did! !